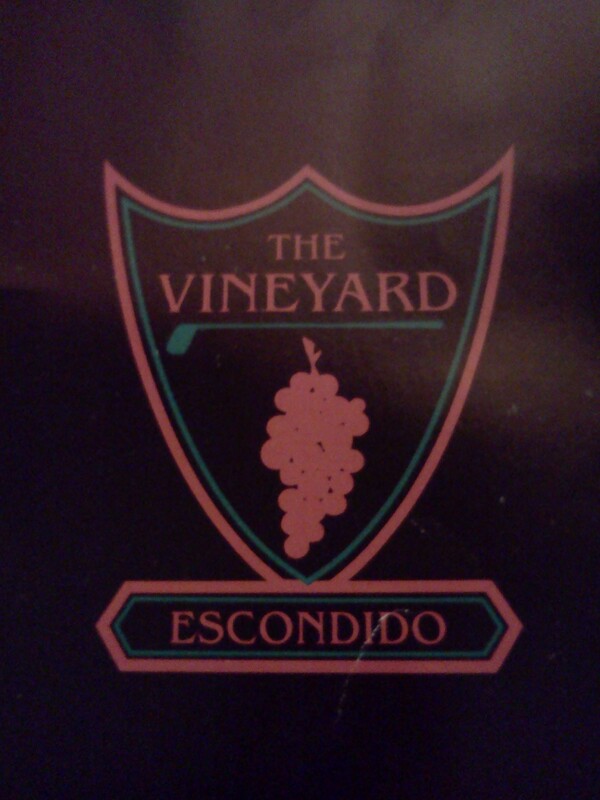 9/24/14 – Got to test out my new putter as I played a round with a few friends at the Vineyard. I started off rough again, hitting my first two tee shots into hazards on the 1st and 2nd. Also 3 putted the first after hitting my drop onto the green for a nice opening double bogey 6. The new putter is and feels slightly heavier as it has 15 gram insert weights whereas my previous putter only had 10 gram insert weights. It took me a few holes to adjust to the heavier weight on longer putts, but my only 3 putt of the day came on the first…so I did putt well overall on the day and I continued to confidently roll and make my 2-5 foot putts, which is a great sign. My ball striking was solid on the day, I hit a ton of really good shots, but I still had too many bad shots mixed in. I don’t mean bad as in shanks or fat or thin, but blocks. I’ve been working a lot on the plane of my swing this past week really trying to stop getting so steep on my downswing. I just want consistent contact and strikes and getting the club more on plane will certainly make that easier for me. The only miss I see right now with that is leaving the club too open on the downswing, causing me to block a few shots badly. The positive is when it does occur I can certainly feel it and that is the key. The more I work on it the more consistent I’ll get with squaring it up. So I shot a 75 (+5) overall on the round, (+1) 36 on the front and a (+4) 39 on the back. Had 3 penalties that cost me from having a really solid score, but again I need to eliminate the bigger mistakes of penalties, I’m hitting plenty of FWs and Green in regulation to be shooting close to under par each round, but I must eliminate these penalties, 3 putts and maybe roll in a few more birdies while I’m at it…much more easily said than done I’m afraid. One highlight of the round is I did drive the 296 yard Par 4 7th hole in one during the round to about 15ft. I lipped out the eagle putt, but did get a much needed tap in birdie. New Scotty Cameron Putter and 64* Wedge! Added a few new tools to my bag over the weekend as I got 2 new clubs… a Cleveland 64* wedge and a new Scotty Cameron Select Newport 2.0 putter! I got all artsy yesterday took a few pictures of the new clubs and for someone who knows nothing of photography; I’d say I did a pretty good job! 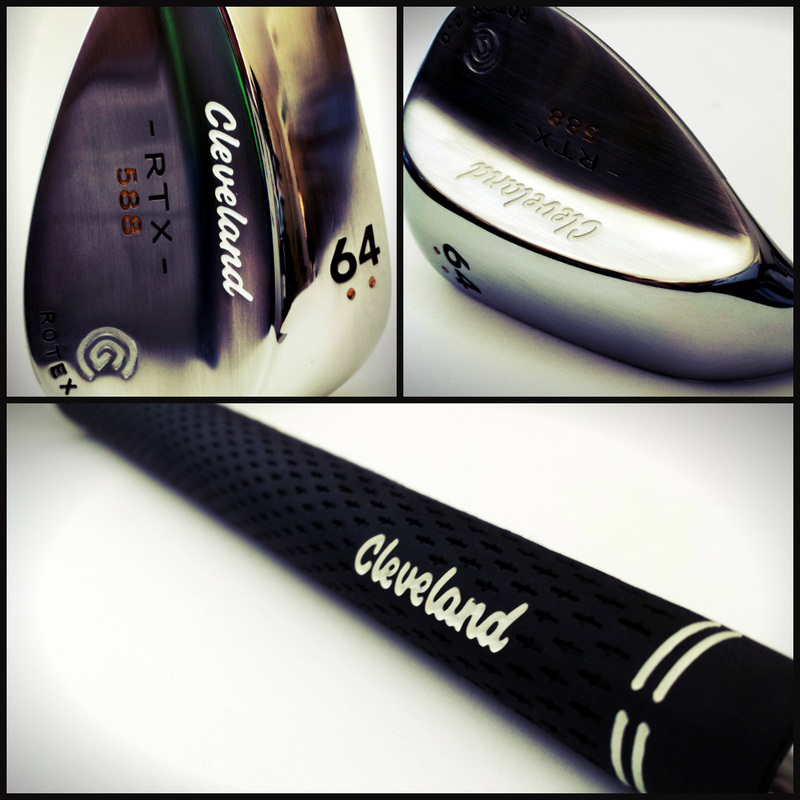 The 64* Cleveland wedge was actually free as I had both a $50 and $100 gift cards from golfnow.com as reward points. They were set to expire and I figured I might as well get something while I still can. The gift cards could be used at either Cleveland or Srixon online shops…I knew that Cleveland wedges are top notch, so I decided to go with a 64*. I love my Titleist Vokey wedges I have now, especially my 60*, it’s my favorite club, so I’ll mess around with the 64* here and there and see how I could fit it into my game. Getting a 64* also gives me just that many more options when I’m going to play tournaments. If I feel the 64* would help me at a specific course, I’ll add it to the bag, but right now I don’t have any serious plans to add it to my bag regularly as I can hit all the shots I currently need with my 60*, but heck it was free right and you can’t beat free! I decided also to get a new Scotty Cameron putter, I absolutely loved my old one, but I think it was time to retire and upgrade. I remember always dreaming of owning a Scotty Cameron putter as a 15 year old when first discovered golf…I finally purchased one 6 years ago and it did not disappoint. It was my baby, my oldest running club in the bag, but the shaft was starting to get bent, the face wasn’t sitting square and it had a few scratches in it so it was time to put her to pasture and enjoy retirement. One of my friends, who I play golf with regularly on Wednesdays now, is a manager of a golf shop and he was nice enough to give me a great deal. I got the brand new Scotty Newport studio select 2.0 for only $150 instead of the normal price of $350…you just can’t pass up that type of deal. I’ll go putt with it for a few today and then put it into action tomorrow when we play a round. The only thing is that it has the standard scotty thin grip on it currently, but I’m used to a more midsize grip like I had on my old putter. I’m so used to a bigger grip that this standard one feels unbelievably small and thin! So I’m not sure how well I’ll putt tomorrow, but that’s ok, I’ll probably get it re-gripped to a midsize grip later in the week. 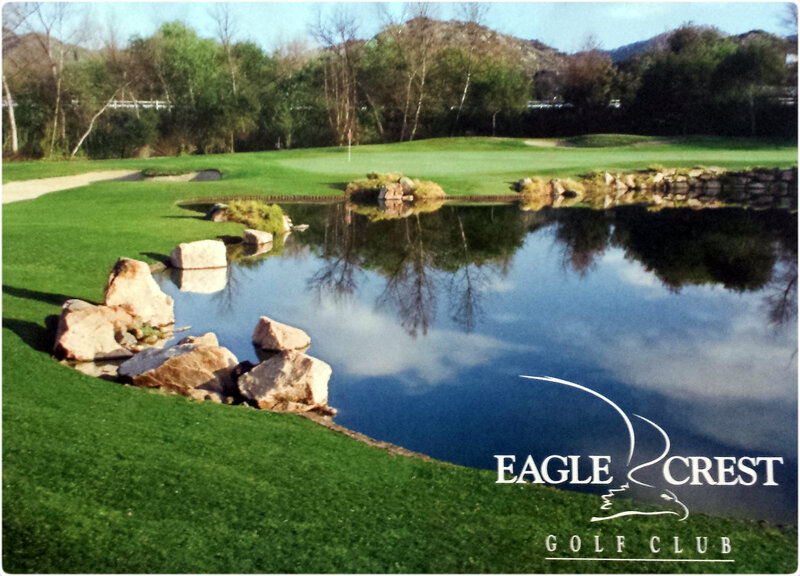 Played a round on Wednesday over at Eagle Crest with a couple friends, I didn’t really get to practice as much as I would like since my round last week, so I was still a little rusty playing a very difficult course. I started off the round solid with pars on the first 3 holes, but then played a really bad stretch of golf. The course is already challenging, but I didn’t help myself any by hitting a couple drives into hazards, lipped out 3 different putts, threw a couple 3-putts into the mix and I found myself admits a 8 holes stretch of (+9) golf. YUK! I haven’t strung together that many consecutive holes of bogey golf in a while, just nothing seemed to go right, hit a ton of solid putts, but all they wanted to do was lip out or stop 1 rotation short. I didn’t hit it well off the tee on those holes, but it was more my inability of my short game that racked up the score. I hit a total of 12 of 18 greens in regulation, but had 37 total putts! I’m just not taking advantage of my opportunities and can’t seem to make any birdie putts. However, like I’ve been telling you guys, I’ve been working hard on my mental game, staying positive and “going with the flow” if you will. Enjoying the fact that I get to even play golf and really enjoy the challenges of getting up and down if I miss a green or trying to salvage a good score after a poor tee shot. It’s that change of perspective that has helped me maintain such a calm persona on the course. Even the best pros in the world have some bad stretches of holes, but they don’t let it define their overall game…they know that they have the ability to turn it 180 degrees at any moment and go on a birdie barrage. I didn’t go on any birdie barrages, but I did play the final 7 holes in (-1) with 6 pars and a birdie. Even through that terrible stretch, I knew it was just a matter of time before I turned it around and started playing up to my ability, I kept focused on my routine and just accepted the outcomes of each shot. Been really busy with work since Wednesday, so I haven’t been able to practice much during the past few days, but this next week should be better. 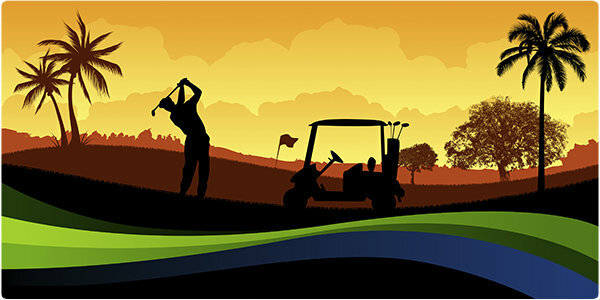 I need to start getting back into my practice routine again, the couple week layoff and this past week have gotten me out of my routine, not only with golf, but with updating the blog as well. Hoping to be able to play tomorrow, but it is supposed to be a cool 105 degrees…the heat I can deal with as I’m used to playing golf in Palm springs type weather of 110+, but the humidity is what is hard. Anyway, I’ll update you guys soon as I get back into the grind starting tomorrow. Got back into the swing of things this week with a range practice session on Tuesday night and then a round with some friends on Wednesday at the Vineyard. Didn’t touch a club since last Wednesday, so I came back feeling fresh, but with an understanding that I’d be a little rusty so I had low expectation. I shouldn’t keep doubting myself as I hit the ball well at the range on Tuesday and actually felt really confident in my ball striking heading into the round the following day. I was most concerned about how the couple week layoff would affect my short game, chipping in particular, as that depends mostly on feel and takes constant practice to keep it sharp. The round yesterday went great and I shot a solid round of 74(+4). I made a couple of really bad course management mistakes that cost me in what coulda, woulda, shoulda been my 3rd under par round! I made 2 double bogeys on the day, both on short par 3’s and both because I tried to play a cut into flags that really didn’t even call for it. My go to natural shot is a slight draw, but I’ve also been working hard on developing a cut, to give me options, which I can use to take out the right side when needed. I can hit it well a lot of the time, but it’s not as consistent as my normal shots yet. Anyway, both of the par 3’s have hazards in front of the greens and I tried to hit cut shots into both and hit them both heavy and they came up short in the hazards. 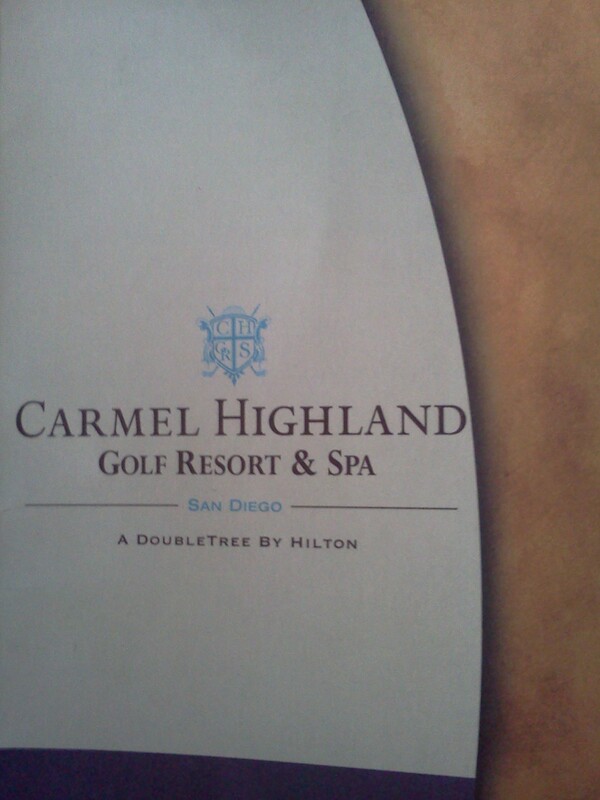 I ended up taking double bogey 5’s on both the par 3’s. So some bad course management on my part, followed by poor execution and if I had just parred those 2 holes I shoot even on the day…bogeyed the par 5 9th also after being only 65 yards out for my 3rd shot. It’s these little mistakes that I need to work on eliminating. I’m proud of the way that I bounced back though mentally after my two mistakes on the par 3’s, I had a birdie the next hole after the first par 3 double and then on the back after the second, I rattled off 6 straight pars to end the round. I feel like I’ve made some great strides in the mental aspect of my game, I’ve been able to move on quickly from disappointing shots and stay focus on the next shot at hand. I lost track of my score again during the round and didn’t know my final score till after the final putt on 18, which is something I love doing. It’s not always the easiest thing to achieve, but I’ve been able to do it a lot in recent rounds, it really keeps you focused when you get in that zone. My chipping and putting surprisingly were solid despite the couple week break, zero 3 putts and had a lot of close chips, even chipped in for birdie on the 5th hole. Will most likely have to wait till next Monday to play again, but in the next few days I’ll be practicing short and long game.